This church is an admirable illustration of what a tiny village can achieve when it sets its mind to it. Forncett St Mary and Forncett St Peter run into each other, but the two villages have been a joint parish for many years, and the Blessed Virgin is little more than a courtesy title around these parts now. 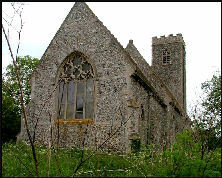 In this part of south Norfolk there is a greater concentration of medieval churches than anywhere else in northern Europe, and so it is not surprising that back in the 1970s, that unenlightened decade, some were fell out of use, among them St Mary which was officially declared redundant in 1981. 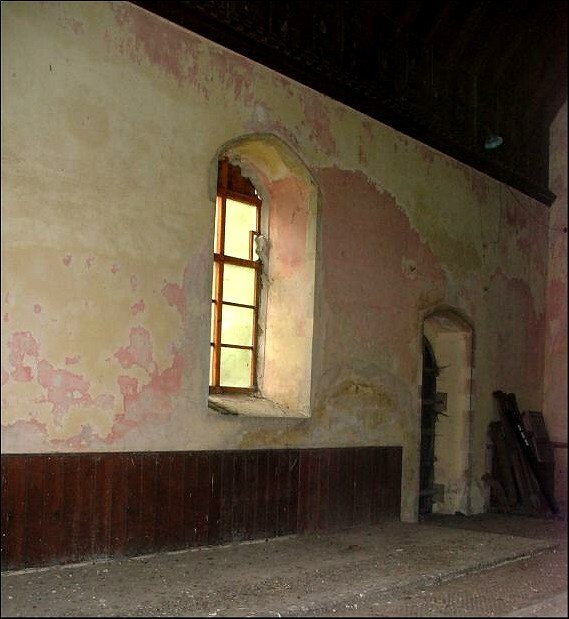 The church was not considered significant enough to be vested in the care of the Churches Conservation Trust, and over the course of the next few decades it fell into disuse and disrepair. Nature began to take a hold of it. When I first came this way in 2006, it was after a tour of the churches to the south and west here, which seemed to be in lively benefices, and all of them were open. However, it felt as if I had crossed a boundary, because I found the neighbouring church of Forncett St Peter locked, and the church at Tacolneston up the road barely hanging on to a precarious existence, the ivy beginning to creep up the walls. The next parish along, Fundenhall, had actually closed its church in the last few months. it felt to me as if the Church of England was slowly turning out the lights in this part of Norfolk. But the lights had gone out in Forncett St Mary long ago. In 2006, there was no earthly sign of the presence of this substantial former parish church from the village street. I needed to use an Ordnance Survey map to locate it. The overgrown path led from near a telephone box and the parish war memorial. Beating back the cow parsley, I made my way down into the narrow graveyard. 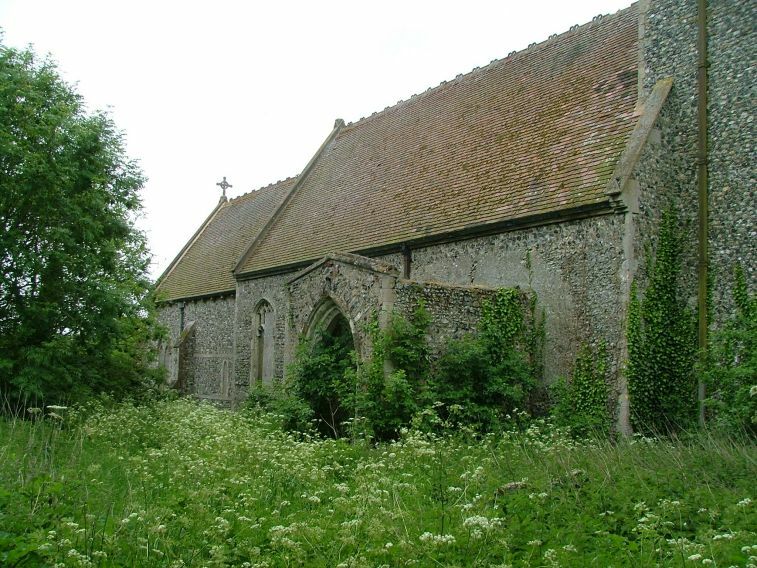 The south side of the church was completely overgrown with nettles and brambles, and on that early June day it was quite inaccessible. On the south side, I managed to forge my way to the far end and turn back west to take the first of the photographs below. 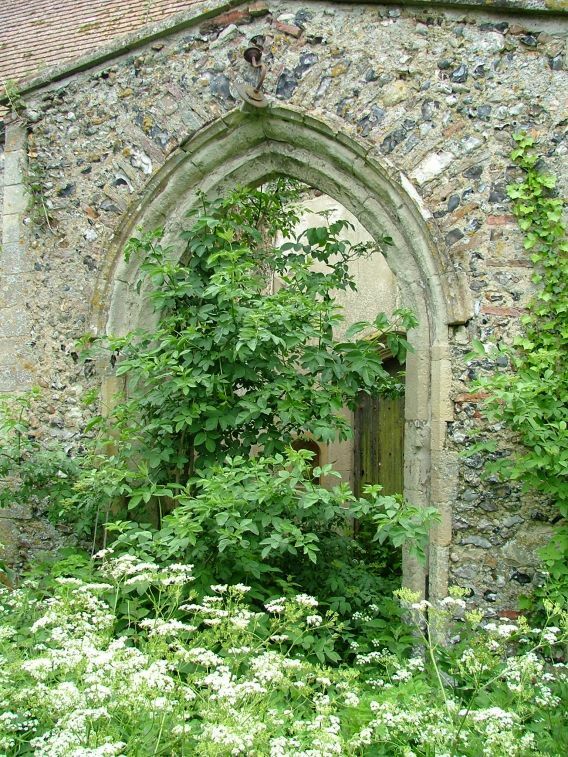 The porch was a poignant sight; roofless and overgrown, it looked as if it might have been a ruin for centuries, but in living memory local people had come to church here; they were baptised, married and sent on their way to the grave. 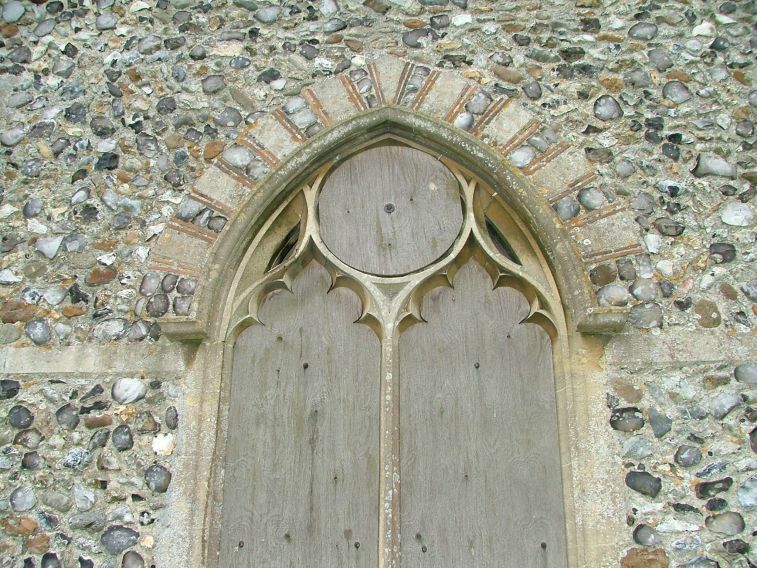 Access was not really possible, although there was a loose board over one of the north nave windows. Inside was surprisingly neat and tidy, with a most curious structure over the south chancel chapel, which I realised was all that was left of Forncett St Mary's organ. I had expected vandalism and decay, but I had the impression that someone had tidied up the place after a long period of neglect. Through the 1980s and 1990s there were ideas put forward for a new use for the building. One suggestion was that it might be turned into a holiday home by building a removable structure within the body of the church. Other ideas included community use and a recording studio, but all these ideas foundered on the legal difficulties of transferring ownership. 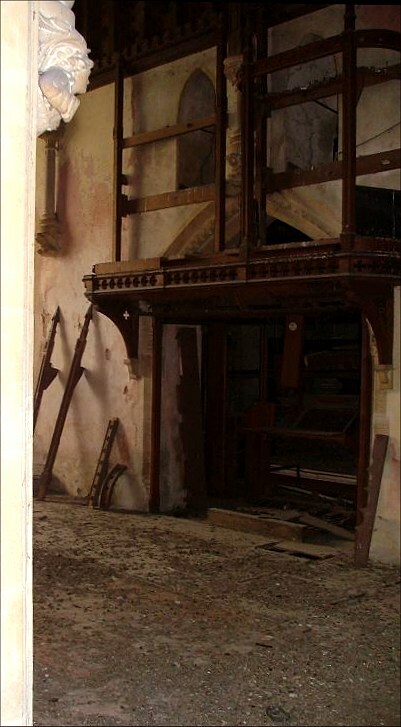 This, of course, added to the spiral of neglect, but at least showed an interest in ensuring the building's survival. In fact, the catalyst for a revival of the fortunes of St Mary had already occured when I visited. 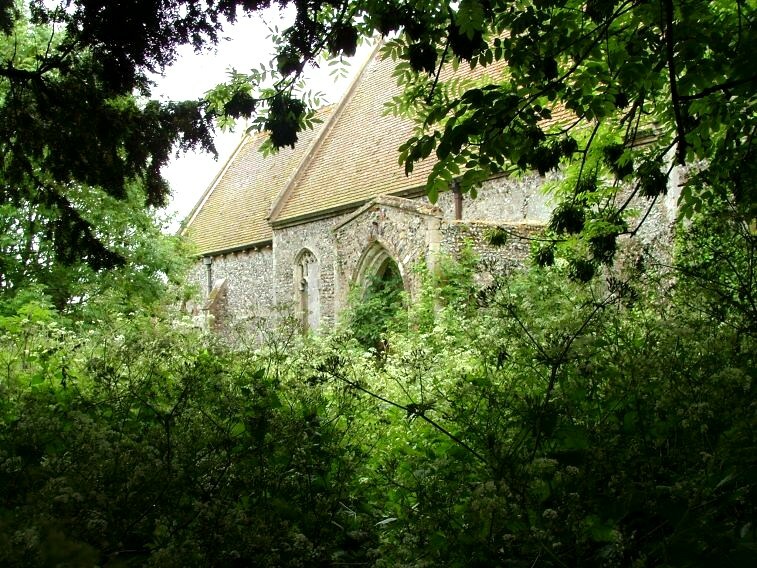 Ironically, the instigator of the process which would lead to its rescue was an outsider, from Gloucestershire, and his concern was not the church itself but the overgrown graveyard. He was a family history researcher, who did not know what had happened here until he actually arrived to look for family graves. By one of those strokes of good fortune which often occur in stories like this, his attempts to get something down about the churchyard coincided with the arrival in the village of another incomer, who moved into the cottage next door to the church. They galvanised locals into recovering the building and churchyard, and today it has been restored to something like its former glory. The churchyard in particular is a spectacular example of what can be achieved with a bit of inspiration and elbow grease. It seemed extraordinary that they had recovered it from the overgrown state I had seen it in four years previously. I stepped into a neat, tidy building with modern chairs set out to face the east, ready for a concert that night. The church is narrow, accentuating its length, particularly in the chancel. The interior is wholly Victorian, with splendid angels holding up the chancel arch. There are display boards at the back of the church giving details of its history, and particularly of its most famous Rector, John William Colenso. A widely published mathematician and Biblical scholar, this church was his first living as a minister. Colenso left Forncett St Mary in 1853 to become the first Bishop of Natal, and gradually became notorious in Anglican circles for a liberal, even radical, theology which set him at odds with the rest of the Established Church. He is remembered fondly in South Africa for his commitment to equality; suffice to say, he is the only Anglican Bishop in the modern age to have actually been excommunicated. It is good that he is remembered here. The plan is that the building and churchyard will be accessible to all as a place for rest and contemplation, but that also it may be used by the local community for concerts and other events. 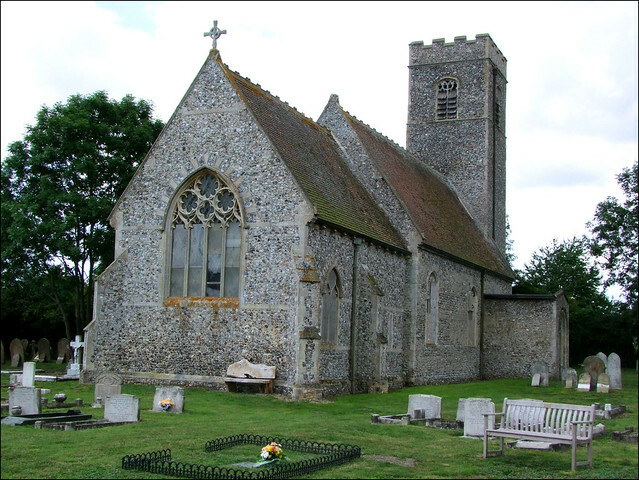 Technically speaking, it is still a redundant church in the care of the Church Commissioners, but that may soon change if ownership of the building can be conveyed to a local trust.